Hope you are enjoying your weekend! Just wanted to pop in here and let you know that there is a new post up at the Pie Lane Blog that I am sure you wouldn't want to miss. Here is a little sneak peak of what you will find there. So go on and visit the Pie Lane blog with the details and supply list of how I created this. On another note, I just noticed that I reached 200 followers which is so over whelming for me. When I started this blog, I never thought that you will like my work so much and I will be so loved. Thank you so much for all the support, love and appreciation that you leave my way. I am forever grateful to each and everyone of you. To celebrate this little milestone, I will pick one random winner from the comments left on this post to win an awesome crafty goody bag! Supplies: cardstock: Elle Erre Fabriano! ; stamps: Prickley Pear(Holly and Berry Clear Stamp, Victorian Ornaments), ;inks:Tim Holtz Distress Inks (Walnut Stain) ; embossing: Versamark ink, Hero Arts white embossing powder; To see how to make this card, I have a step by step tutorial on the Prickley Pear blog. Please visit and let me know what you think. Hope you like it! Thanks for sharing! Today I have a Christmas card to share with you which I made a while back and forgot to share here. I have had this Stampin Up! set for like forever but this was the first time it saw the light of the day and I absolutely love the Christmas tree. Both the sentiment and the image is white heat embossed. Then I added some details to the tree with Pie lane glitter gems. Thank you for your overwhelming response to my previous posts! Its good to know that I am being missed in the blog land :) But hopefully I am back now and won't disappear again. Anyways, today I am guest designing at Aditya's Blog Craft Zone and Imaginations Store. There are lots on new items added in the store. Make sure you check out what's new. I used the First Edition Paper's Love Letters Pattern Papers, mostly the small left over pieces from THIS card. The flower embellishment was assembled using a hand cut felt flower, some Prima flowers and a Pie Lane wooden button. The sentiment is from Hero Arts. I am so glad you are here. You should have come to me by way ofKim Duran. First mini album on order! I haven't made anything for my crafting pleasure lately but I did complete some orders and am working on some more. Today I wanted to share my first Mini Album that I made on order. This one is special, as not only it is my first one on order, it is actually my first time making an album and boy, did I have fun? I had a blast working on it and I am so glad that the person who ordered it, liked it just as much. The cover of the album which is my favorite part :) I used lot of different papers from Studio Calico, American Crafts and Echo Park to make the cover. The pretty charm was a gift from Tejal. A close up of all the tiny details on the cover. I used lot of Echo Park stickers to build up the sentiment. The first page. I have used Echo Park Victoria Garden collection papers and journaling cards on inside pages. Hello! 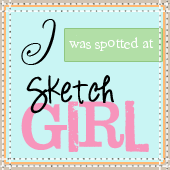 It’s November 15th and time for a new sketch challenge at Prickley Pear Blog. There is a lovely sketch for you to play along with and of course there are prizes to be won. And since there are no product restrictions this month i.e. you are NOT required to use Prickley Pear Products to participate, I really hope you will play along for a chance to win 15$ certificate to the PPRS store. Sorry for the bad quality pictures. Anywhoo, my ornaments are heat embossed with AC zing emossing powder (leaf) and adorned with Pie Lane's new product "Tiny gems". I made this card during my sick-out-of-mojo days, so just kept it simple and went with the sketch. Hey guys, Just wanted to pop in here and let you know that my first post as the design team member is up at the Pie Lane Blog. So go on and visit the Pie Lane blog with the details and supply list of how I created this card. As I said before, these days I am suffering from a lot of things all together. and so I am only doing projects strictly for DT, GDT assignments and finishing up pending orders. Anyways, today I am guest designing at Aditya's Blog Craft Zone. So for my first sample today, I used the First Edition Paper's Love Letters Pattern Papers from Imaginations Store to whip up a quick card. Guest Designing @ CraftyJC Challenge! For my inspiration card, I picked Palette#2, and came up with a clean and simple card. Young Crafters Unite Blog Hop! Welcome to the second blog hop for Young Crafter's Unite and since I love their challenges, I decided to participate again and get creative. The theme for today's blog hope is "Masculine" (certainly a difficult one for me :D ) which is also the theme for current monthly challenge at YCU. I went quite literally with the inspiration picture(the brown table, colorful dishes and serving bowls, strawberries) because I had the long ignored perfectly matching stamp to go with it. :D It was super fun to color in this image using water color pencils. Here is the list of blogs participating in the hop. Please take some time to visit them and leave comments because there are prizes to be won. I am popping in today to share my card for the Prickley Pear blog's Design Team Monday feature. I followed the sketch#99 at Skipping Stones Designs and the challenge of CAS Holiday Card at Stampendous blog for this card. Just a day left to enter your card for the Prickley Pear October Sketch Challenge.Would love to see you play along! Please visit the PPRS blog for more Design Team Inspiration and before I forget, there is still time to enter the PPRS Sketch Challenge. Lots of Pie Lane Pixie Dust Glitter and a different color combination is what I love about this card and I hope Tejal liked it too :) Entering it in Wee Memories Scrappy Saturday Challenge #73 - Free for all. Not only is she an awesome craft-er, a partner in crime craft, She is my go-to-gal for anything and everything crafty. :D and I am so glad to have met her and known her for a while now. So here is what I made for you...oooohh its just a sneak peak to tease you a bit :D You will have to wait to see the full reveal ! The time span for this blog hop would be from 22nd oct 00:00 hours to 26th oct 23:59 hours!!! Me: "Thats sweet of you girl, but the stuff belongs to you and I don't wanna use it before you do and anyways I am no good with punches :)"
Romina: "Make a card using the MS Floral Band punch in 3 different ways"
Me: "Is that a challenge?" Ohh I so dreaded the moment :D This was a real challenge for me and there were actually 3 challenges in one.